There is so much sugar and processed ingredients in our food these days that it is hard to even avoid. However, with the right amount of dedication and knowledge, you can eat completely organically – just like baby Grace. 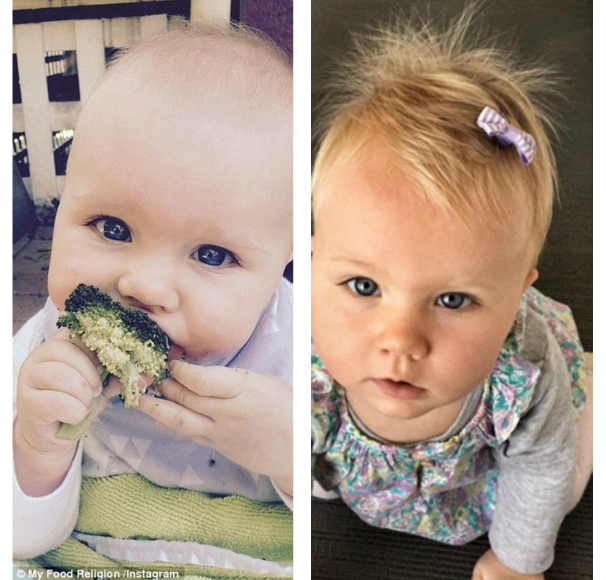 Grace Cooper is a two and a half year old baby girl who has never eaten a gram of processed sugar in her entire life. These days it is amazing that her parents were able to keep processed sugar out of Grace’s system because it is hidden in so many different things. For example, a study performed by reuters.com stated that they found trace amounts of potentially dangerous chemicals in leading baby formula products. They found trace amounts of melamine in baby formula, melamine is a chemical used to make plastics and it was found in one type of baby formula sold in the united States. However, there have been many babies in China that were either sickened or died from the chemically polluted baby formula. Of course, it is always better to breastfeed, what about feeding your baby after those stages? All the baby food products on the market these days claim to be organic, healthy, and 100% fruit or veggies. But they are actually the opposite. Some leading baby foods are filled with preservatives and processed sugar. They are ridiculously unhealthy for your baby, and you are always better off making your child’s food from home. Although it takes a little more time and is a little more expensive, it is well worth it in the long run for your baby. Take Grace Cooper for example! The diet that Grace is on rules out all grains, dairy, sugar, and everything processed. This diet is extremely heavy in nutrients and is responsible for her beaming skin, and iron like immune system.